Technological advancement has made a huge impact on everything. It has changed how companies re-define their operations. Apart from enabling businesses to grow, technology has transformed the way they work. Some of the most common technological advancements include the introduction of blockchain technology, Machine Learning, Augmented Reality, Virtual Reality, Internet of Things, Artificial Intelligence and more. To make the most of AI, companies require a partner with product DNA who understands the needs of a business and its customers. 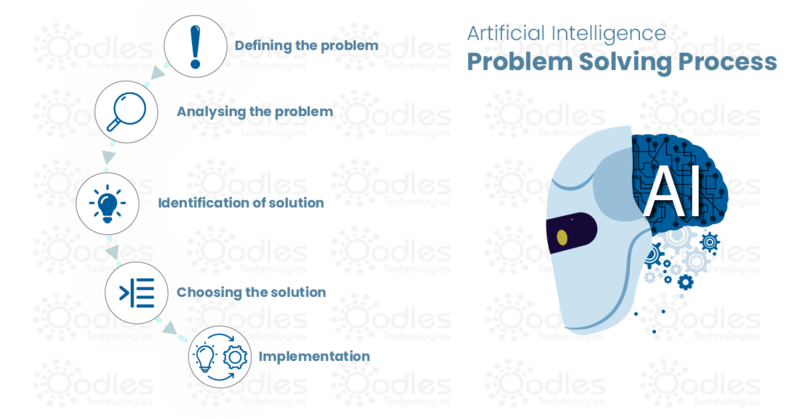 Let’s take a look at how Oodles Technologies solves complex AI challenges. We have developed chatbots that enable customers to find real-time solutions for their service requirements. When customer support executives are unavailable, our chatbots engage with customers in a queue until an executive is available. Quick responses provided by our chatbots lead to better customer relationships, retention, and loyalty. Oodles technologies’ AI-powered intelligence improves accuracy and predictability in sales and marketing. It offers effective and innovative marketing solutions to help businesses convert leads into customers. 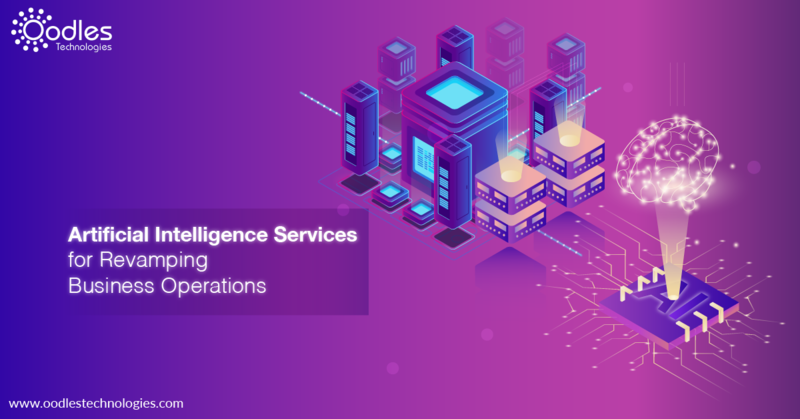 Our Machine learning and Deep Learning solutions detect trends, interpret complex data, and identify patterns to improve the quality of your business. 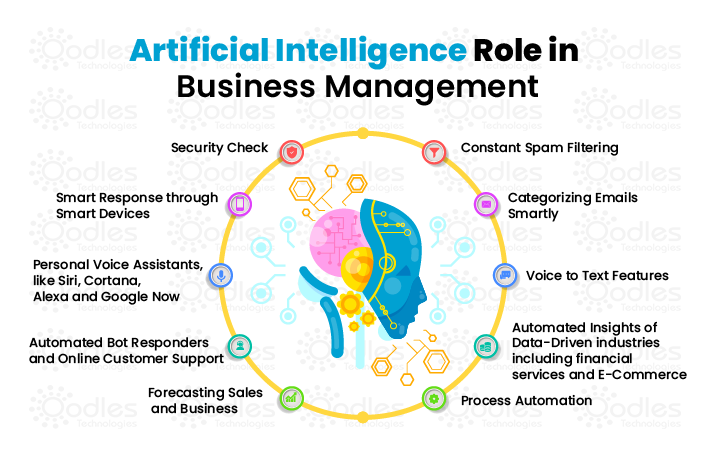 Oodles technologies develop customized AI- Powered solutions that make business processes smarter with accurate predictions to enhance business value. NLP improves communications between systems and humans. Companies use it to comprehend information from the raw data. Identifying and extracting subjective information to help businesses understand the social sentiment of their brand, service, and product. Evaluate the latest market trends using machine learning, data mining, and predictive modeling. Understand the requirements of a customer and optimize resource usage and efficiency. We impart business based decision management, which allows our clients to make effective business decisions using reliable algorithms and predictive systems. Developers use creative ideas and methodologies to develop AI-based applications to strengthen the functions of enterprises. Are you looking for an AI app development company that can assist with AI-based solutions? Contact Oodles Technologies- one of the leading software development companies in India. Our AI-powered intelligence leads to smarter business operations and better goal achievement. Apart from Artificial Intelligence, our developers provide solutions with next-gen technologies like Blockchain, Machine Learning, ERP, Mobile, and Video Solutions, Augmented and Virtual Reality, Big Data, DevOps and Cloud Solutions. Our highly skilled team of developers create end-to-end solutions that enable businesses to thrive in a competitive business environment.